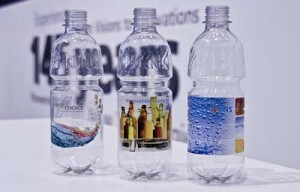 Lightweight polyethylene terephthalate (PET) bottles for still water from German packaging and filling machinery supplier KHS has reached the South American market. Brazilian water bottler Água Mineral Santa Joana has begun filling its still water into KHS’ Bottles & Shapes lightweight bottles, which weighs just 8.9g for 0.5L size and 22g for 1.5L size, the German company announced. To date, relatively heavy PET bottles have been commonly used to bottle beverages in South America, according to Prof. Dr.-Ing. Matthias Niemeyer, CEO of KHS GmbH. 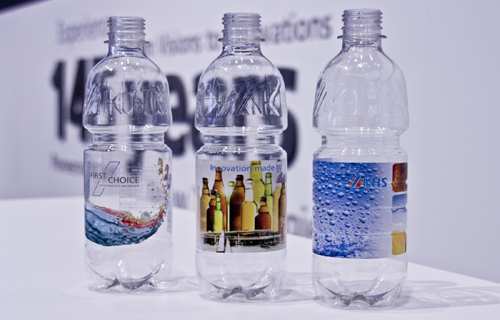 “The lightweight PET bottles developed by KHS mark the start of a switch to extremely lightweight bottles on the South American market. Beverage producers can now cut down considerably on their use of resources in the long term,” he said. Compared with a conventional 0.5L PET bottle that normally weighs 13g and a 1.5L bottle that weighs 26g, KHS’ lightweight bottles represent a saving of 31.5% and 15.4% in material costs, the company stated. “Around 70% of the manufacturing costs for a PET bottle are attributable to the material used. Beverage producers can therefore considerably cut their costs by reducing the amount of materials consumed,” explains Arne Wiese, Product Manager for Bottles &amp; Shapes program of KHS. With an annual production capacity of 300 million 1.5L PET bottles and a reduction of four grams in the packaging weight, the potential saving amounts to up to €1.8 million – €450,000 per year for each gram saved, according to KHS. Água Mineral Santa Joana produces its bottles on an InnoPET Blomax 12 S machine which outputs up to 27,000 0.5L and up to 26,400 1.5L PET bottles per hour. The water is sold in northeastern Brazil. In both sizes of bottle material is specifically saved by the bottle thread being much lighter. This now weighs in at 1.9g only for bottles with a neck diameter of 26mm. Sizable material savings are realized in the bottle body, too. “Despite this much lower use of resources our lightweight PET bottles still boast undiminished high stability,” Wiese stated.